A talented jazz pianist and keyboardist, the two time Emmy Award winning multifaceted Nick Manson is also a composer, arranger and producer who has excelled in several fields. Nick was a major player in the development and design of Atmosphere, Stylus, Trilogy and Stylus RMX for Spectrasonics. He has owned and operated his own recording studio for the past 20 years and runs his own CD label, Manasus Music. He has been a guest lecturer and clinician at many schools (including USC, the Los Angeles Music Academy, Iolani School in Honolulu, Bremerton Community College, ASU and Edmonds Community College) and he taught music theory at the Art Institute of Seattle. 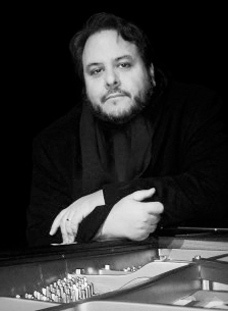 Currently Nick is a professor at Mesa Community College in the Jazz Studies program, teaching jazz composition, arranging, playing ensembles and music business courses. He has performed everywhere from the Kennedy Center to the Concord Jazz Festival, Jazz Port Townsend, The Baked Potato, The Jazz Bakery and Seattle's Jazz Alley, and toured throughout Europe, South America and Asia. Nick has recorded and/or performed with many artists and renowned musicians including: B.B. King, Lenny Kravitz, Christopher Cross, Deniece Williams, John Patitucci, Ernestine Anderson, Bud Shank, Jeff Kashiwa, Andy Suzuki, Dean Taba, Kendall Kay, Steve Huffsteter, Plas Johnson, The Nairobi Trio, DMQ, James Gadson, Al McKay (Earth, Wind & Fire), Will Calhoun (Living Color), Dianna Krall, Ernie Watts, Bennie Maupin, Jay Thomas, Ralph Humphrey, Steve Ferrone, Don Lanphere, Gerry Gibbs, Alphonze Mouzon, Tom Brechtline, Terry Clark, The Katinas, Zoro, Darren Motamedy, Tim Noah and Roby Duke.